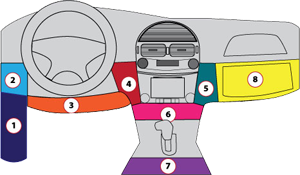 Can't find car's OBD port? Locate it here. 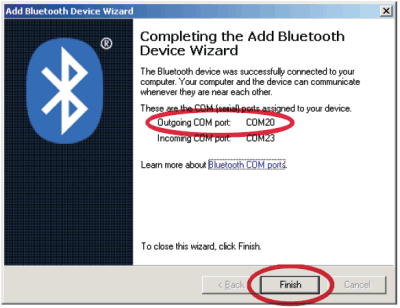 Select ELM327 Bluetooth device. 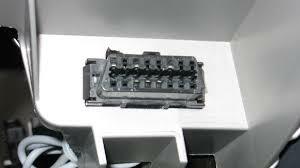 It'll come under different names like: OBDII, OBD-II, VLink, Can OBDII, etc. NOTE: It can take up to 15 seconds for Bluetooth signal to show. If signal does NOT show, then exit the screen. Disconnect ELM327 Bluetooth from car. Then insert it again into car's port, and do another "Add a Device". If signal STILL doesn't show, then restart computer, and do another "Add a Device". Repeat these suggestions in variations until signal eventually shows. Because as long as the red Power light is lit on the ELM327 Bluetooth device, it means it's physically working, and MUST be detected. WORD OF CAUTION: Any attempt to detect ELM327 Bluetooth after pairing it for the FIRST time — may NOT show inside "Add a Device" anymore. 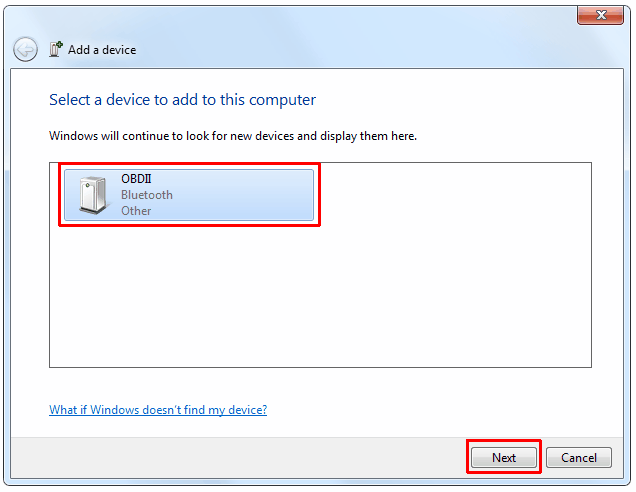 In this case, it's found inside "Show Bluetooth Devices". 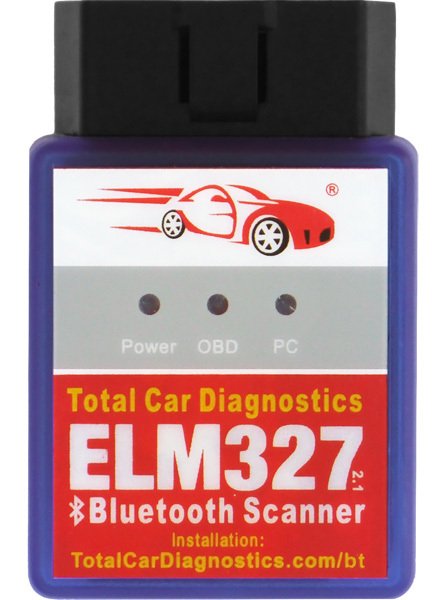 Click "Connect" and it should automatically detect ELM327 Bluetooth device, and connect to car's ECU. 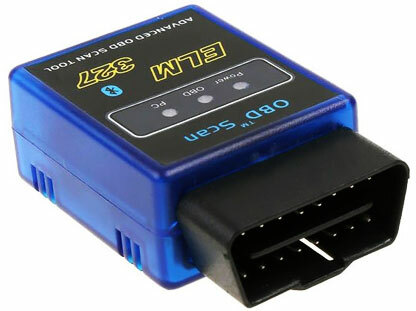 If OBD software has trouble connecting to your car, then set baud rate of connection to: 9600 or 110. Hopefully the software you're using has this option inside it's Settings. For example TOAD software has option to force 9600 bits per second, which instantly fixes random disconnection issues. 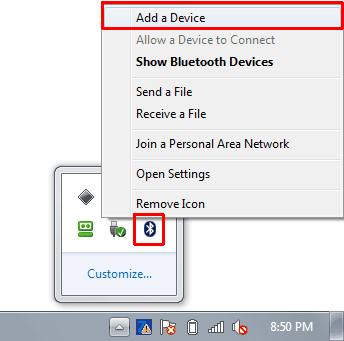 Go to Device Manager > and expand "Ports (COM & LPT)". 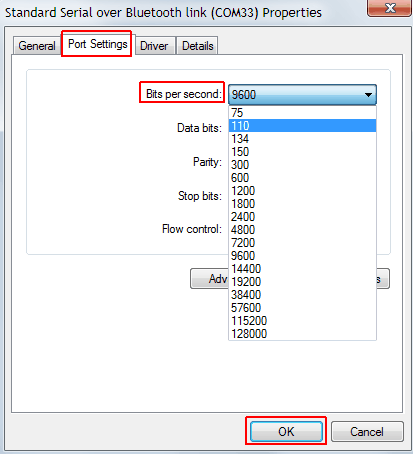 Go to "Port Settings" tab > Lower "Bits per second" to 110. Click Ok. As seen below. Then attempt to reconnect to your car inside the OBD software.